Preethi is using Smore newsletters to spread the word online. The practise of removing trees for wood products and for agricultural land has rapidly increased over the years due to high demand. Today, over 8 million square miles of land has been deforested to create croplands. Elsewhere, the forests are shrinking due to the increased rate of harvesting trees. It is estimated that nearly 1 million square miles of tropical forests are cleared each decade. If deforestation continues at this rate, all tropical forests on Earth will be gone in less than a century. The potential social and environmental impacts will be detrimental if we don't consider sustainable approaches and methods for the deforestation of the Amazon. It's been discovered that terra preta, large amounts of dark earth, is scattered throughout the Amazon. Terra Preta is primarily a farmer's first choice soil for cultivating crops. This segues into the clearing of the Amazon to make use of the nutrient-rich soil for the production of food. The clearing of the Amazon also makes room for cattle ranching. Brazil has become one of the world's top meat exporters due to the clearing of land for livestock. Each year, their meat industry receives over 20 billion dollars, accounting for 10% of the world's market (Barbosa, 2004). The logging of particular trees provide for the nation's export of pulpwood, sawn wood, wood fuel, and wood charcoal (Barbosa, 2004). These wood products are cultivated for the world's booming economy. The wood is imported internationally for the purpose of flooring, construction, an etc. The Indigenous tribes suffer the backlash of clear-cutting because it interferes with their hunting practises and gathering of plants. 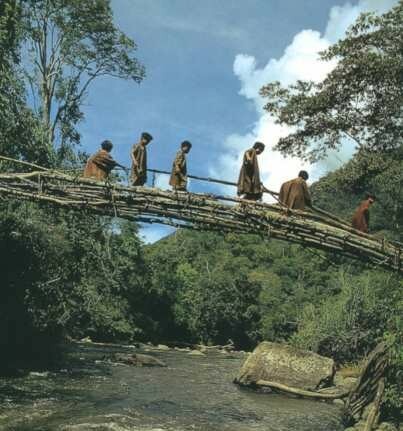 With further development, we disrespect their traditions and cultures, creating a drift between us and them. The destroyed areas could've potentially had valuable plants for medicinal use. These plantations provide employment for families struggling with low incomes. Without the commercial use of the Amazon rainforest, living conditions for residential peoples will become undaringly difficult. 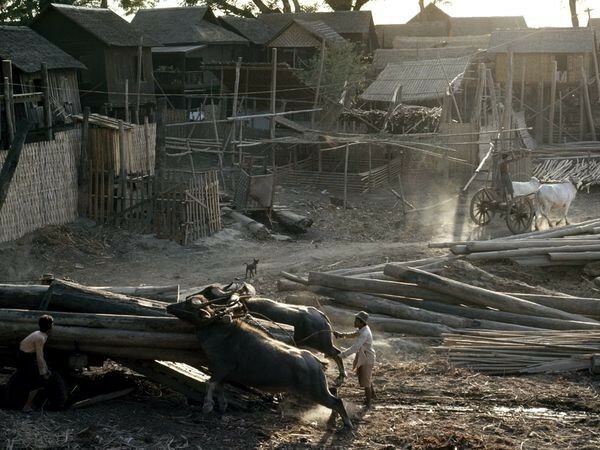 The logging industry relieves families of this tension and the possibility of becoming impoverished. Due to industrial activities, 130 tonnes of mercury is released into the environment each year (Samuelson, 2008). The roots allow for the tree to store mercury and other heavy metals so that when the wood is burned or logged, mercury is released into the atmosphere. In recent news, mercury poisoning has persistently shown up in the nervous system of people living nearby. The mercury has been proven to negatively impact their cognitive functions, which hinders them from performing throughout the day (Pearce, 2004). Development increases the rainforest's exposure to warmer climates and wind, which dries out the Amazon. This kind of exposure allows for low-level fires that could quickly accumulate to larger forest fires. This potential risk did not exist when the Amazon Forest was intact and development was yet to be introduced. The Amazon is a great contributor to the world's supply of oxygen. At the same time, the Amazon traps carbon gas which is emitted through deforestation. If the rate of deforestation continues now, the greenery will not be sufficient enough to counter our production of carbon dioxide, will not be sufficient enough to provide us oxygen, and contributes to the levels of carbon in our atmosphere too. 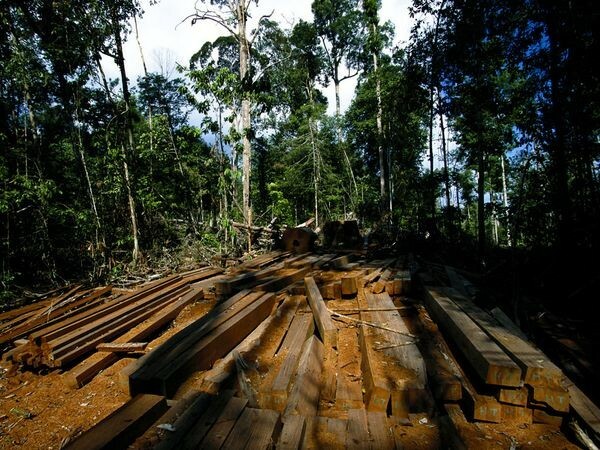 The continuation of development and exploitation of the rainforest has a global influence on the the earth and various communities. It is integral that sustainable approaches are taken to reduce the consequences we'll have to face in the future. Could increase the productivity of farmland that once used to be forested. If higher yielding crops are grown, the clearing of rain forests will be unnecessary and we could delay deforestation. It relies on the smart use of the cleared area that could resolve many of the issues regarding the forest. Judson Valentim of a Brazilian Farm Research Corporation says, "20 percent of the area could produce 50 million tons of grains annually." (Morton, 2005) With improved technology and heavy research, this method is a viable solution. Also, allowing the involvement of Indigenous tribes in decision making regarding the Amazon is critically important because they could contribute to sustainable agricultural practises. They will be more aware of which methods are effective for producing higher yielding crops. The Amazon rainforest is essential for our booming economy because it is a natural resource that is dependent on for wood products. The conservation of this rainforest is far more important for our booming economy because the deforestation is removing trees faster than the earth's ability to provide back. The clearing of the Amazon raises various social and environmental threats (i.e. disrupts Indigenous peoples hunting and gathering practises) so, it's crucial that sustainable approaches/methods are implemented so this resource can be used in the future.